So there is a strange thing going on here. It’s pretty amazing marketing actually—it’s a bond as strong as true love—it’s KFC & Christmas (of course)! 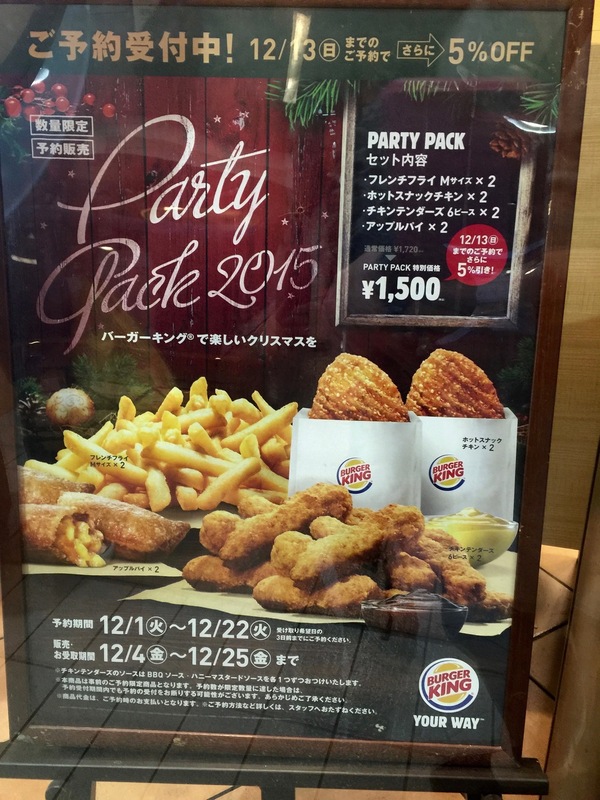 Here in Tokyo though, I have learned that KFC is exactly the meal you want to share with your family on Christmas Eve. In fact, I was told that you needed to pre-order your bucket and sides weeks in advance! Who knew? 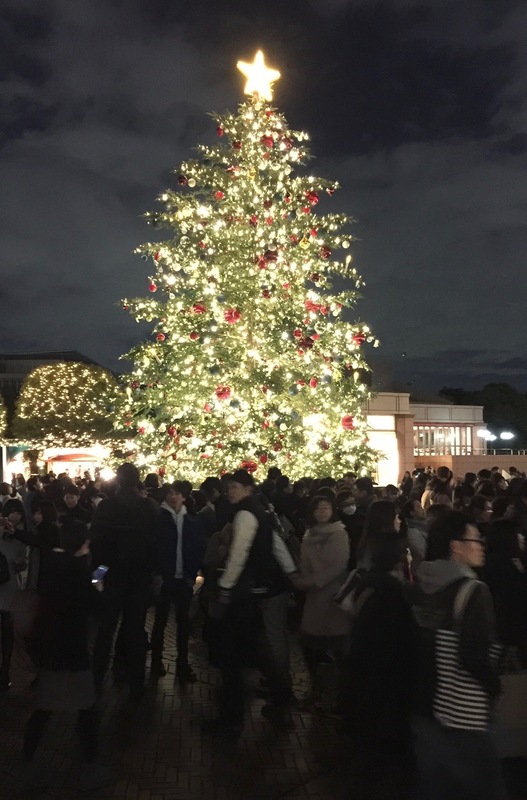 Keeping in mind that Christmas is a Christian holiday, and Japan is not a “Christian” country, meaning that Christmas is not celebrated in the same ways. There are “illumination” displays (Christmas lights as we know them) and some decorations, but December 24th & 25th are just regular days, kids are in school, people go to work, and shops and restaurants are all open. Just “regular” days except for the fact that there is an abundance of ‘Christmas chicken’ everywhere. Some places that don’t normally even have chicken offer special Christmas chicken dinners. All thanks to KFC! 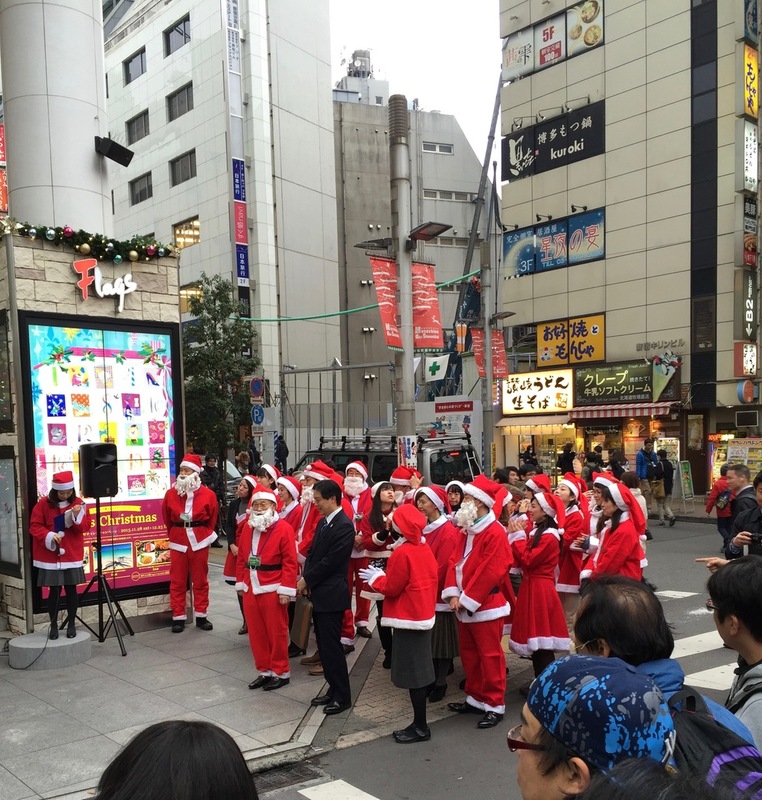 It was explained to me like this….in the 70’s, more and more Japanese people were “celebrating” Christmas (which is basically considered an “American” holiday). In the US, a lot of people eat turkey (good luck finding turkey in Japan), so an American chicken company (KFC) was all like, “oh, you should eat chicken because it’s basically a smaller version of a turkey” (that’s not a real quote from anyone. I am not writing a history book, but I guess that’s the gist of it!) 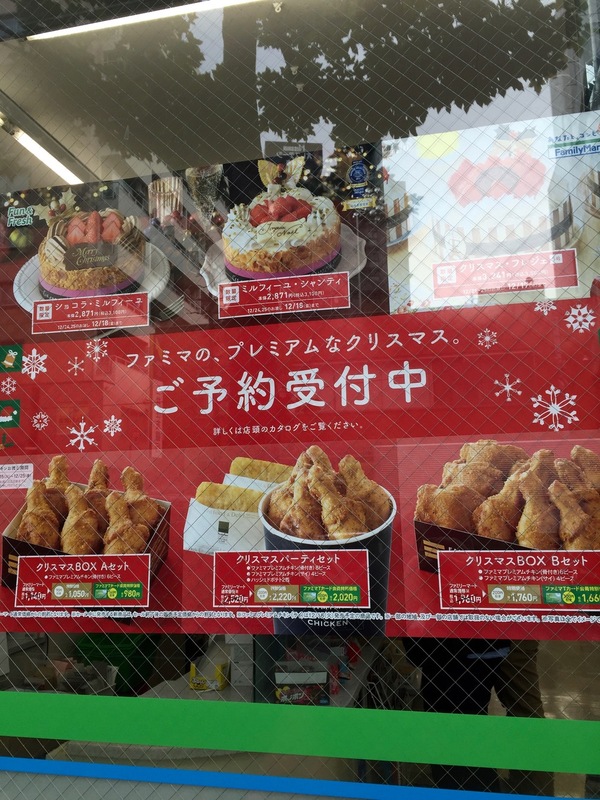 So still to this day, a ton of people do just that, eat KFC (or some other type of fried chicken) at Christmas. I mean, it seems weird to me only because I can’t imagine that kind of food association with Christmas. As I said before, to me, KFC is a convenience meal, not celebratory. But then again, this is coming from someone who had Taco Bell for my birthday dinner this year, and eats hot wings every valentine’s day, so maybe I’m not the one who should be judging!